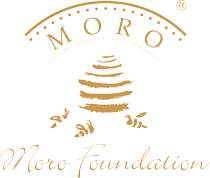 A registered charity, the Moro Foundation is a non-profit organization whose principle aim is to provide youth with the opportunity to develop their abilities and talents. The Moro Foundation is dedicated to supporting international students from over 40 countries who are currently studying in Slovenia. The number of international students living in Slovenia increases each year. We work with Danila Kumar International School and Bežigrad High School in Ljubljana – institutions which prepare studies to enter the most prestigious universities in the world. Slovenian international schools are a part of the International IB Program. The Moro Foundation also enables teachers from various academic fields to visit Slovenia for an extended period of time. This enables both students and staff to gain a wider breadth of knowledge. The founder of the Moro Foundation is Moro & Kunst Ltd., which established precious metals trading in Slovenia. The company trades in precious metal coins, including those from the 800 year old Austrian Mint in Vienna, and makes a donation for every Vienna Philharmonic 1 oz. coin sold. Our foundation is officially recognized by the Ministry of Education and Sport in Slovenia. The official, authorized and registered auditor of the Foundation is Revidisleitner d.o.o., Slovenia. The Moro Foundation respects the donor’s code of ethics. We do not forward contact information to third parties.